Creator, the 3-year-old colt by Tapit who captured this year’s Belmont Stakes (G1) and Arkansas Derby (G1), has been sold by WinStar Farm and Bobby Flay to the Japan Bloodhorse Breeders’ Association (JBBA), which intends to retire him from racing to stand stud at Shizunai Stallion Station in Hokkaido, Japan for 2017. “The JBBA approached us with a strong desire to stand a top Grade 1-winning son of Tapit like Creator, and since we already have one on our stallion roster with Constitution, it was ultimately too good of an opportunity to pass up for everyone involved, including the horse. Last year we visited the JBBA, and I was impressed with their facilities and overall program. They’ve done such a great job with American horses like Empire Maker and Forty Niner, and we hope Creator can have a similar impact for Japan and its breeders,” said Elliott Walden, WinStar President, CEO and Racing Manager. Creator enjoyed a breakthrough 3-year-old campaign this year for Hall of Fame trainer Steve Asmussen. In a dramatic Belmont Stakes (G1), Creator flew down the stretch to win the 1 ½-mile Test of the Champion, the final and longest jewel of the 2016 American classics. In addition to his victory in the $1,500,000 Belmont Stakes, Creator powered home to a decisive 1 ¼-length score in the $1,000,000 Arkansas Derby (G1) in April to become a leading contender for the Kentucky Derby (G1). 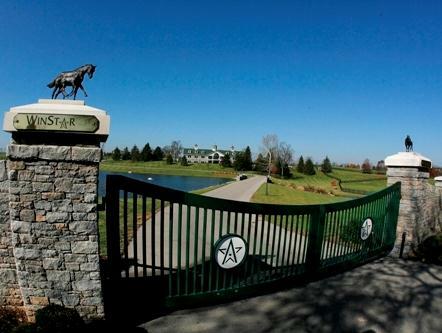 A $440,000 yearling purchase by WinStar, Creator amassed earnings of $1,610,320. He was bred by Mt. Brilliant Broodmares and is out of the three-time Peruvian champion racemare Morena.